Drawing on the voices of atomic bomb survivors and the new science of forensic archaeology, Charles Pellegrino describes the events and the aftermath of two days in August when nuclear devices, detonated over Japan, changed life on Earth forever. To Hell and Back offers readers a stunning, “you are there” time capsule, wrapped in elegant prose. 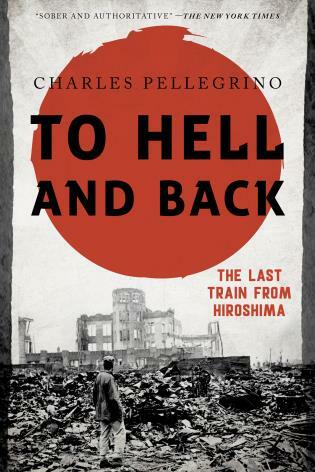 Charles Pellegrino’s scientific authority and close relationship with the A-bomb survivors make his account the most gripping and authoritative ever written. At the narrative’s core are eyewitness accounts of those who experienced the atomic explosions firsthand—the Japanese civilians on the ground. As the first city targeted, Hiroshima is the focus of most histories. Pellegrino gives equal weight to the bombing of Nagasaki, symbolized by the thirty people who are known to have fled Hiroshima for Nagasaki—where they arrived just in time to survive the second bomb. One of them, Tsutomu Yamaguchi, is the only person who experienced the full effects of both cataclysms within Ground Zero. The second time, the blast effects were diverted around the stairwell behind which Yamaguchi’s office conference was convened—placing him and few others in a shock cocoon that offered protection while the entire building disappeared around them. Pellegrino weaves spellbinding stories together within an illustrated narrative that challenges the “official report,” showing exactly what happened in Hiroshima and Nagasaki—and why. Also available from compatible vendors is an enhanced e-book version containing never-before-seen video clips of the survivors, their descendants, and the cities as they are today. Filmed by the author during his research in Japan, these 18 videos are placed throughout the text, taking readers beyond the page and offering an eye-opening and personal way to understand how the effects of the atomic bombs are still felt 70 years after detonation. Charles Pellegrino is the author of numerous books, including the New York Times bestseller Her Name, Titanic and Ghosts of the Titanic. His research includes work in paleobiology, nuclear propulsion systems for space exploration, and forensic archaeology at sites ranging from Pompeii and the Titanic to the World Trade Center. He serves as a scientific consultant to James Cameron for both his Titanic expeditions and his ongoing Avatar film series.